Happy New Year! Frohes Neues! Feliz Año Nuevo! It is the first of January, and welcome to 2015. 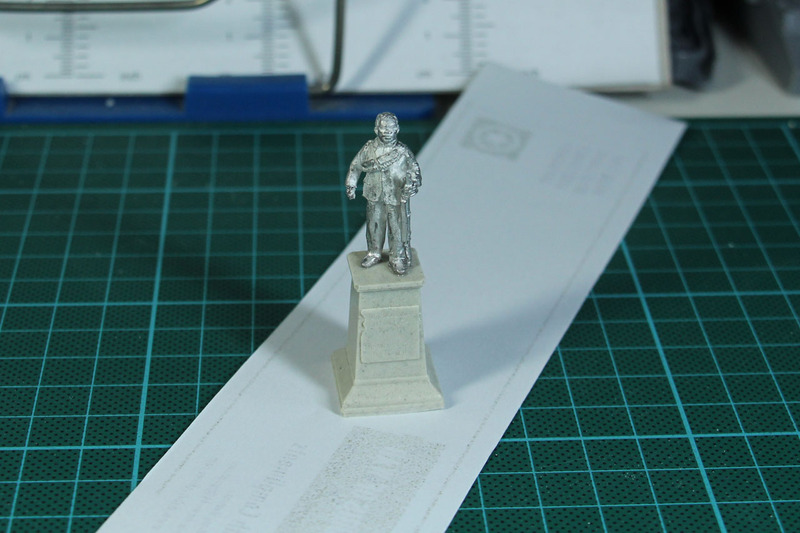 I have a few good resolutions for this year, in first line more painting and gaming. Starting next weekend at the HdR Szenario near Bad Kreuznach. So what's next at the 'bunker? 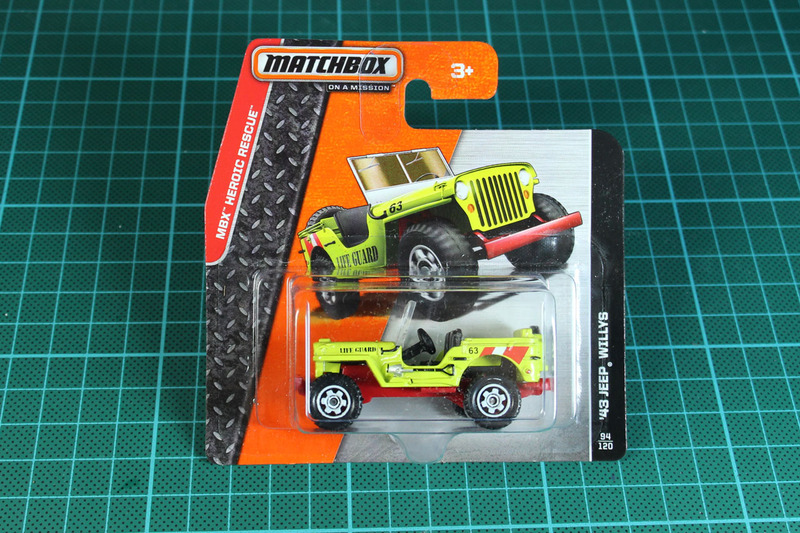 Well, i bought some Matchbox vehicles. 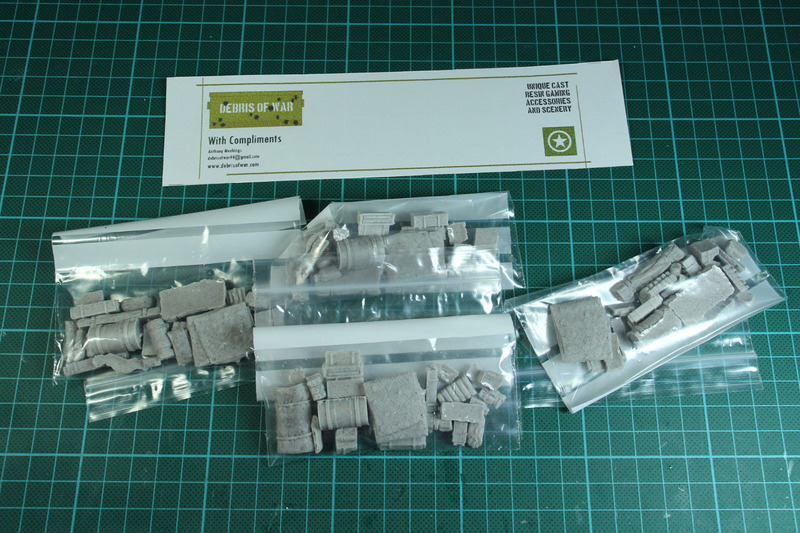 I saw them in different army projects, among others in the Bolt Action Facebook Group and Stoessi Bolt Action Army. 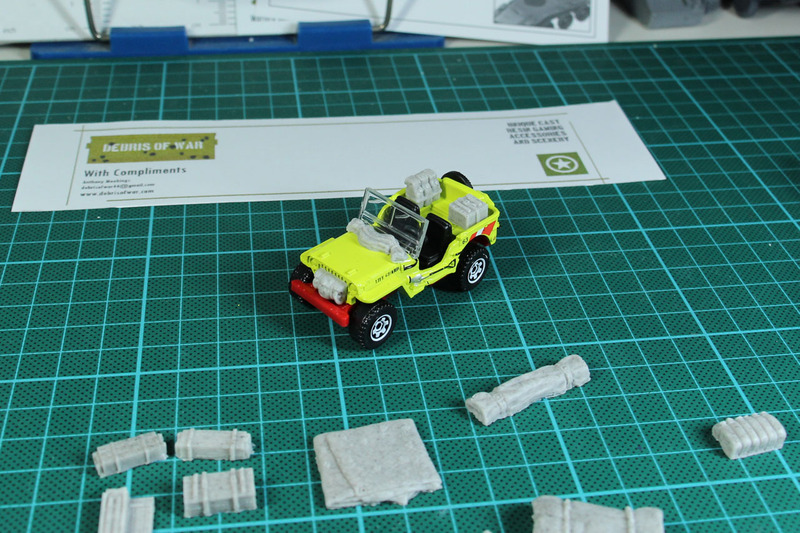 I was irritated, because i would have thought the scale would be off, but it works great, as you can see with the Warlord Games Jeeps and a Perry Kübelwagen. What can i say? 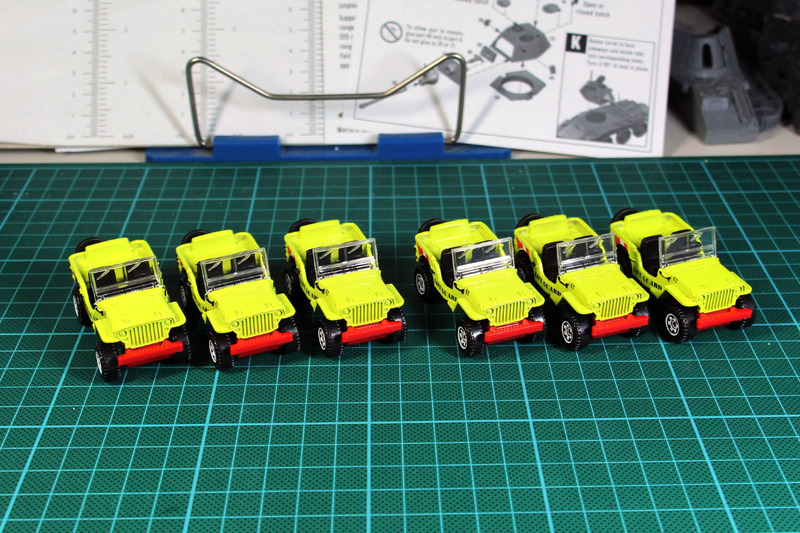 I was happy and i bought a set of 6 jeeps for just 15 euros. 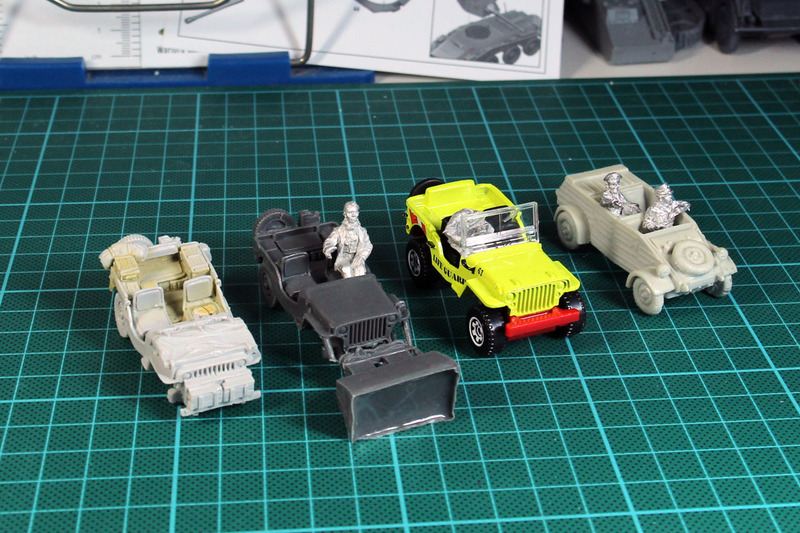 I'll buy some Kübelwagen next. I stumbled upon these again on facebook, thanks to Mark Minghella. 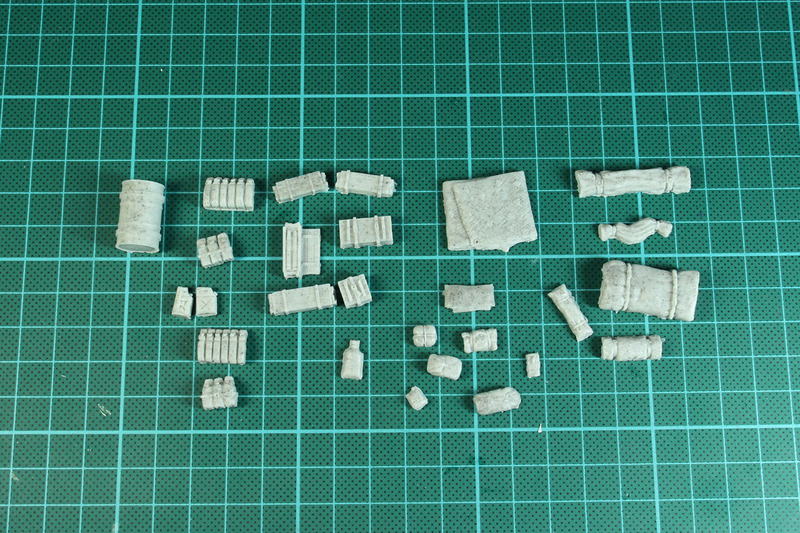 Resin Stowage in 1:56 / 28mm from Debris of War. They offer a stowage set with 27 items for 5 GBP or a double Pack for 9 GBP. I bought two of the double packs. So what to do with it? Pimp rides of course. 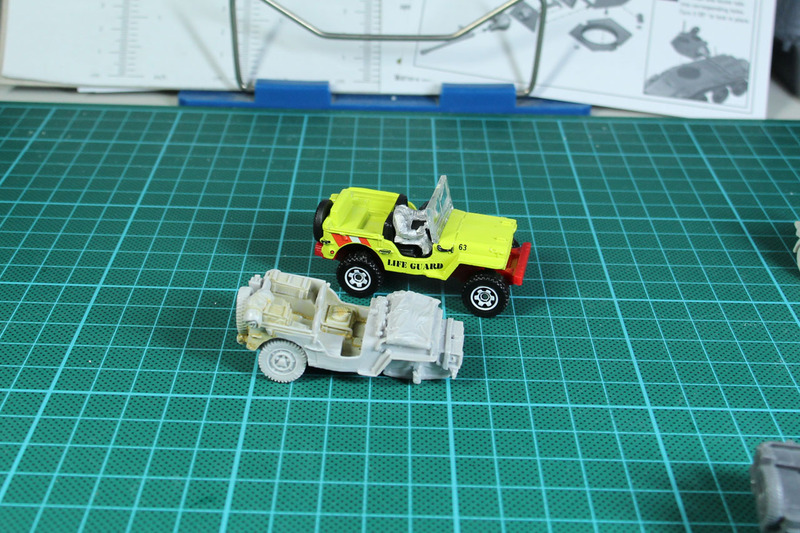 Just placing them on the Matchbox Jeeps immediately improves them a lot. I'll use them heavily on my brits and american vehicles. 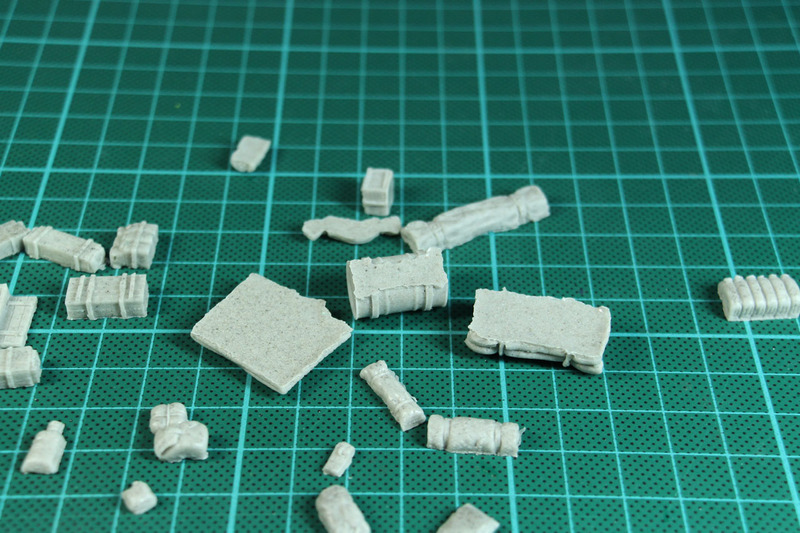 The cast itself isn't bad (no bubbles or flash), only the backsides are a bit domed to the inside, so might use a bit of putty here and there to fix that. 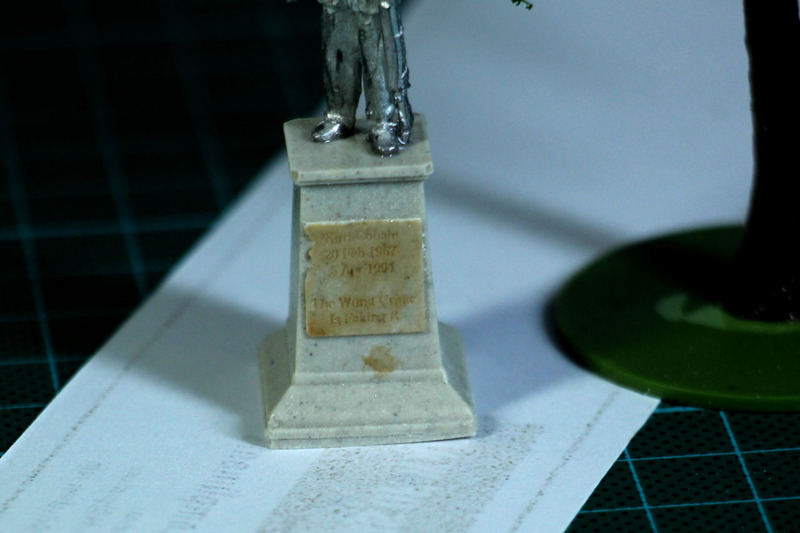 At the crisis i bought a few additional memorials from Ainsty Castings. Together with the mispack from my Perry Crusaders, i got a nice statue. I still have no idea, what he is supposed to be, but i like the pose. Some civil war hero or fighter for independence, who knows. The funny part is, that just know i noticed the imprint on the badge. It is devoted to Kurt Cobain, together with a quote "The worst crime is faking it". 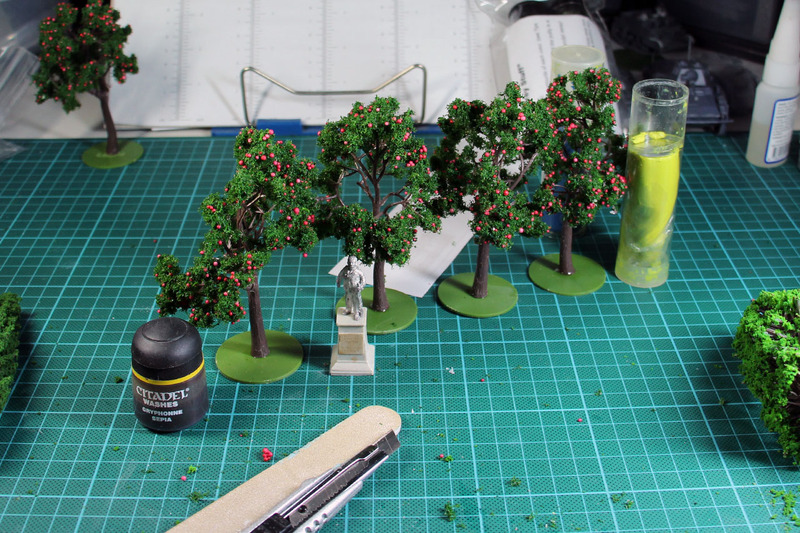 Then i got busy on the trees, getting them based. Next up coating them in hair spray, to stop them from losing their foliage and getting some sand and grass on that bases. Might touch them up with a bit of dry brushing and wash. I have some goals for this year, and among them is to be more active and present. So if you'd like to support me on this, give me a like on facebook. Thanks and have a great start into 2015.